The Christian Sudanese woman released from prison and then re-arrested at Khartoum airport Tuesday has now been charged with fraud and banned from leaving the country, according to authorities. 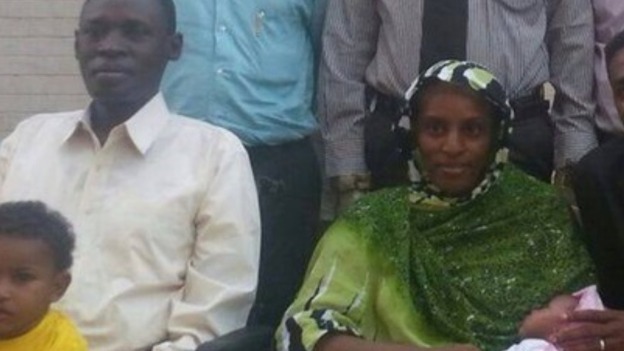 Meriam Ibrahim, who has been held in a Sudanese prison with her son since February, was freed of her death sentence for practicing her Christian faith, after international groups and government officials put pressure on the Sudanese government. Ibrahim gave birth to a baby girl while in prison. Ibrahim was then re-arrested at the airport with her husband and two children. Now, new charges are being brought against her for allegedly forging travel documents as she tried to leave the country, according to a report by Mail Online.